Paul N. Courant is Arthur F. Thurnau Professor, Harold T. Shapiro Collegiate Professor of Public Policy, Professor of Economics, Professor of Information, and Faculty Associate in the Institute for Social Research at the University of Michigan. From 2007-2013 he was University Librarian and Dean of Libraries at the University of Michigan. From 2002-2005 he served as Provost and Executive Vice-President for Academic Affairs, the chief academic officer and the chief budget officer of the University, He has also served as the Associate Provost for Academic and Budgetary Affairs, Chair of the Department of Economics and Director of the Institute of Public Policy Studies (which is now the Gerald R. Ford School of Public Policy). In 1979 and 1980 he was a Senior Staff Economist at the Council of Economic Advisers. Courant has authored half a dozen books and over seventy papers covering a broad range of topics in economics and public policy, including tax policy, local economic development, gender differences in pay, housing, radon and public health, relationships between economic growth and environmental policy, and university budgeting systems. More recently, he has been studying the economics of universities, the economics of libraries and archives, and the changes in the system of scholarly communication that derive from new information technologies. 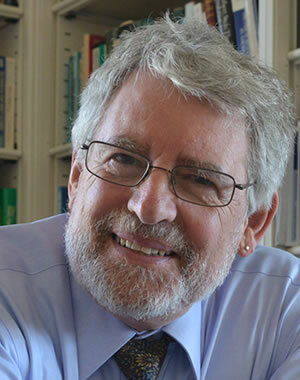 Professor Courant holds a BA in History from Swarthmore College (1968); an MA in Economics from Princeton University (1973); and a PhD in Economics from Princeton University (1974).